The International Olympic Committee has been made to look weak after its Paralympic counterpart's strongly worded statement that it would not allow Russian athletes to compete in next month's Paralympics. On Sunday, the International Paralympic Committee released a statement saying it had "suspended the Russian Paralympic Committee with immediate effect due to its inability to fulfil its IPC membership responsibilities and obligations". Sir Philip Craven, IPC president, said: "This decision has placed a huge burden upon all our shoulders, but it’s a decision we’ve had to take in the best interests of the Paralympic movement." 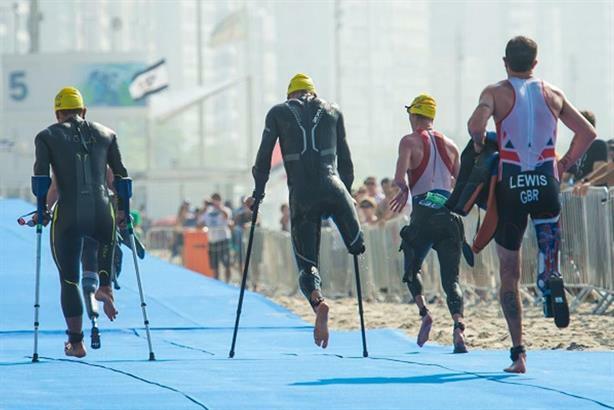 The decision comes a month ahead of the Paralympic Games, which begin in Rio on 7 September. On Thursday (4 August) - the same day that the Olympic football tournament began, and just one day before the opening ceremony - the International Olympic Committee made its final decision on the criteria Russian athletes should meet to compete in the Olympics. The IPC's reputation has been improved while the IOC's remains sullied, according to two London-based sports PRs. Former Bell Pottinger CEO Shimon Cohen, whose firm The PR Office works with a number of football and rugby clubs and sports integrity unit Quest, said of the IOC and IPC's respective decisions: "Both decisions are absolutely logical, you can argue for either or both, but with the two juxtaposted, the Olympic committee looks weak." However, Cohen said he was "certain" that the chance to score a PR victory over the IOC would not have been a motivation for the IPC: "I am certain that that did not form any part of their decision-making process." He also said that given the mechanical element to parasport – athletes using wheelchairs, prosthetic limbs and other equipment that may be supplied by the event organiser or the athletes themselves – the IPC in some respects "has to be even more rigorous". Kate Miller, media director of Mischief, an agency whose clients include the Football Association and Southampton Football Club, disagreed with Cohen, saying that the IPC's was the only legitimate decision. She said "The IPC has taken the completely appropriate response to Russian's ban. Both the IOC and IPC are granted the powers to issue a total state ban to a country. If evidence of a state-sponsored doping ban isn’t enough to merit issuing such a ban, then what is?" Miller said that the "outrage" in the IPC statement would "resonate hugely with the public". However, she expressed some sympathy for the IOC, saying: "Sport, as a whole, needs to act decisively to foster public trust in the integrity of the system. Timings have not been ideal, they should have come sooner, but it’s a messy issue with complex legal and international ramifications, and most will understand it takes time to unfold." Some Paralympic bodies, such as World Archery, have expressed disagreement with the IPC decision, saying it "goes against the principles of inclusion and fair play". Ingmar De Vos, president of the International Equestrian Federation, has been widely quoted as saying that his organisation was "very disappointed" with the decision. The Rio Olympics continue to 21 August.